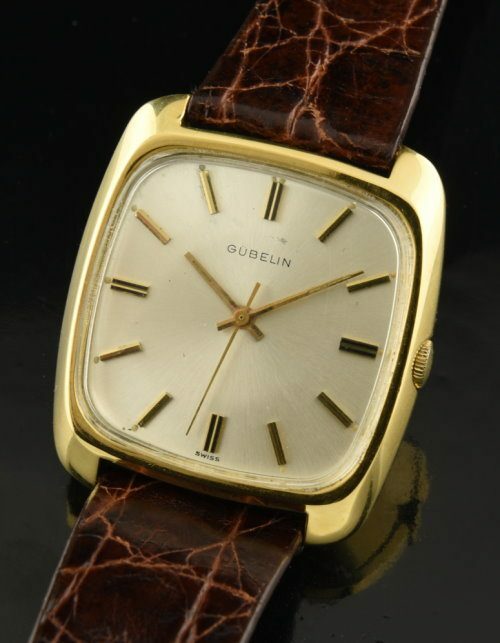 This is a very fine solid and heavy (58 grams total) 1960’s GUBELIN 18k. yellow gold large vintage watch measuring 34x38mm. and provides MUCH wrist coverage. The sprawling silver simple and sleek looking dial is all original with the slightest age marks. I really love the gold baton markers and the 12,3,6 & 9 markers with black inset. The automatic winding 25 jewel GUBELIN movement complements the looks, being that it is also quite fine; adjusted to 5 positions, just cleaned and accurate. The inset crown adds to the sleekness. 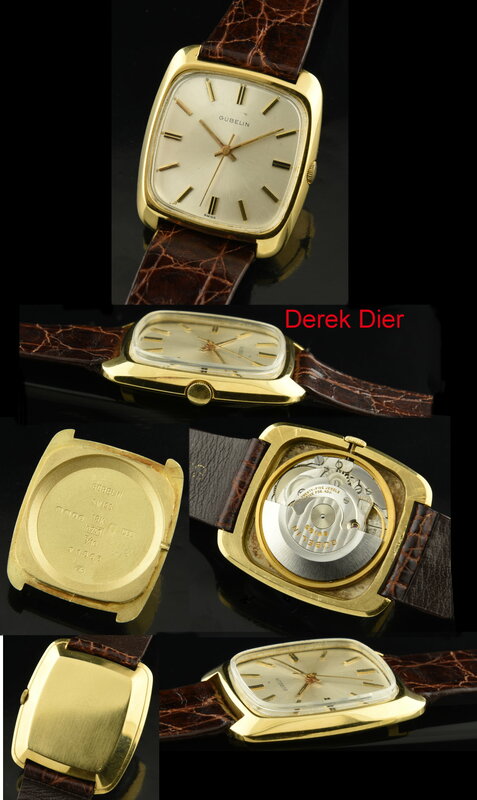 The heaviness of the case due to thickly poured GOLD is VERY uncommon to find on a solid gold dress watch. We have not found a more substantial gold watch in many, many years. No expense was spared producing this fine timepiece. You will love it.